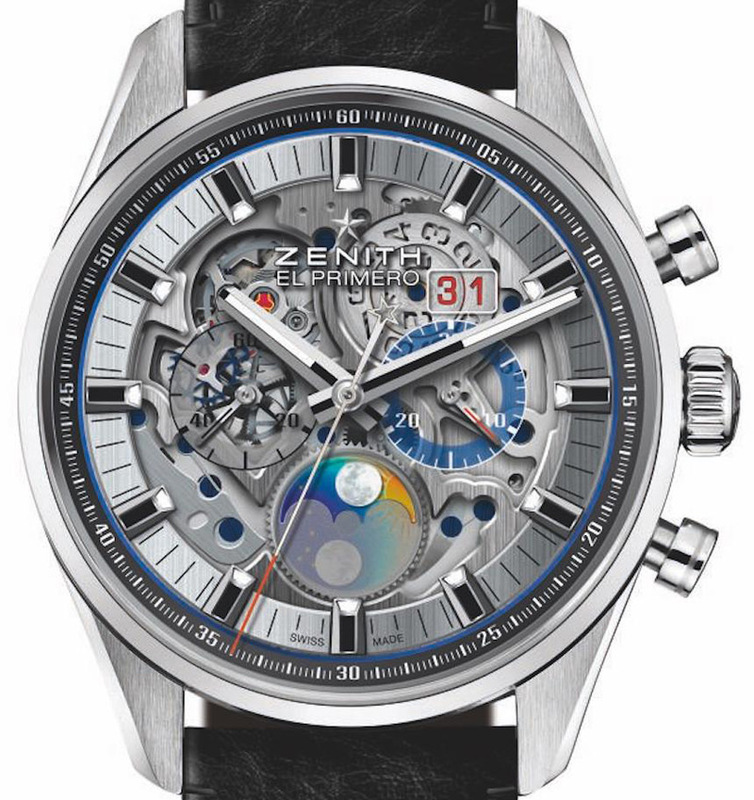 For Baselworld 2017, Zenith has prepared the Chronomaster El Primero Grande Date Full Open watch. This watch will come in two variations: a full stainless steel case, or two-tone stainless steel and pink gold. Both will feature a domed sapphire crystal on the front, and a sapphire case-back. The dial shares the same layout as the previous versions, but for the Zenith Chronomaster El Primero Grande Date Full Open, the architecture is on full display. The transparent date window remains between 1 and 2 o’clock with a red backdrop, and the moon-phase (complete with a 59-day double-lunar cycle) at the 6 o’clock position adds a splash of additional color to the traditional red, blue, and grey Zenith palette. 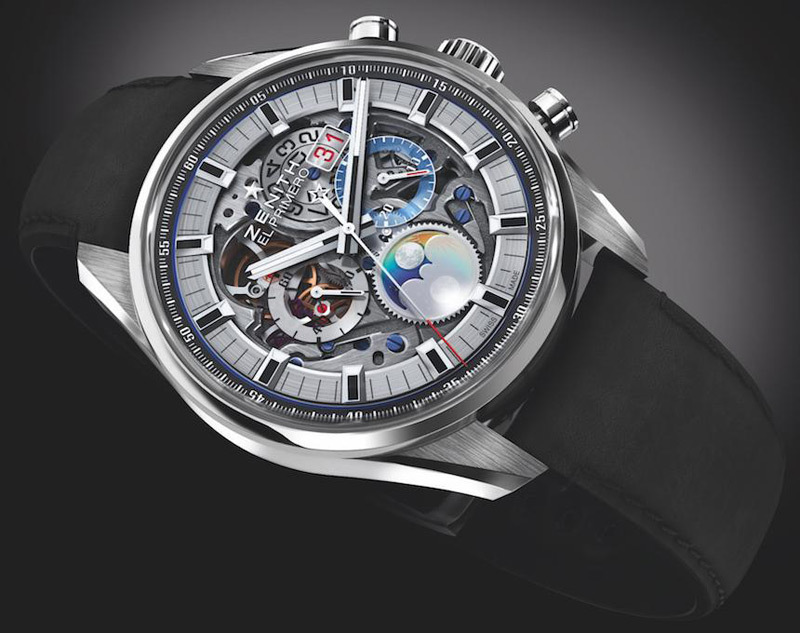 The 45 mm case hides the in-house Zenith El Primero Calibre 4047B, with more than 332 components artfully put together to create this stunning timekeeping wonder. 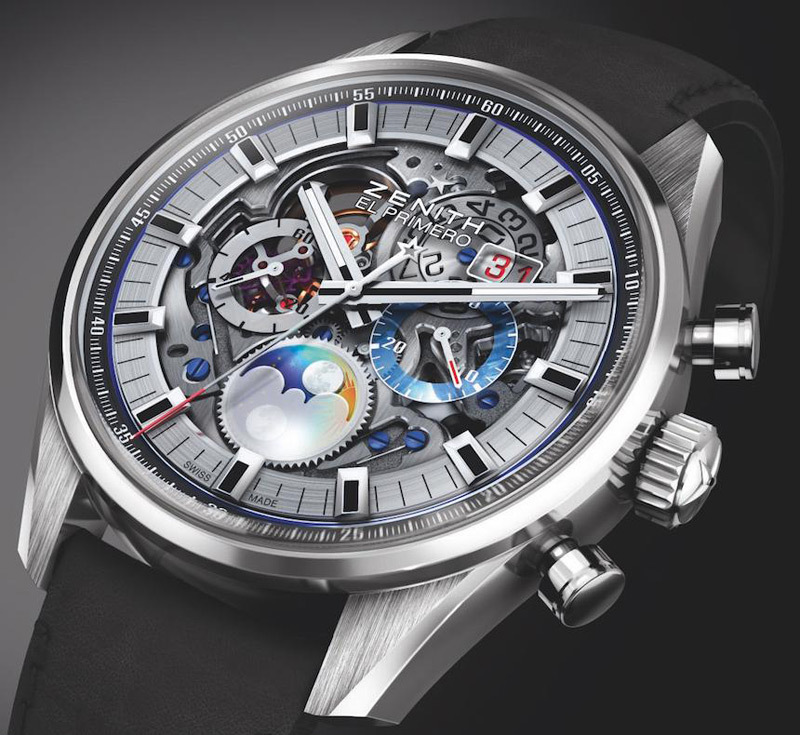 The self-winding chronograph movement operates at 36,000vph and has a 50-hour power reserve. Because it beats at 5Hz, this allows for an accurate display down to a tenth of a second. The steel version comes attached to either bracelet or a black leather strap, while the pink gold choice features a black leather strap or a lovely brown chestnut leather strap. The price has not yet been published, but “non-full open” models in steel and gold range in the $10,000-$15,000 so expect a bit more than that.